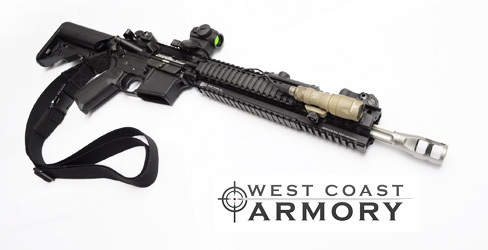 West Coast Armory has been producing custom handguns, rifles, and shotguns for the better part of 20 years. Though in recent years many amateurs have come to the belief that firearms can simply be pieced together out of parts, professionals and competitive shooters know that expertise is priceless on weapons which will be used in competition or duty. Our professional, in house gunsmiths are familiar with the many nuances of all popular firearms, and go the extra distance to meet your discerning needs. We can handle everything from basic inspection, assembly and cleaning to custom machine work, barrel threading, and painting. 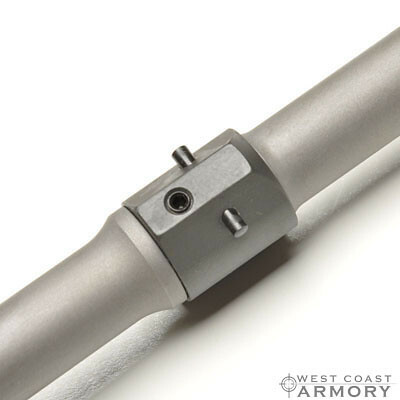 Custom work performed by West Coast Armory is guaranteed, and if you are not satisfied with your work we'll fix it until you're satisfied. 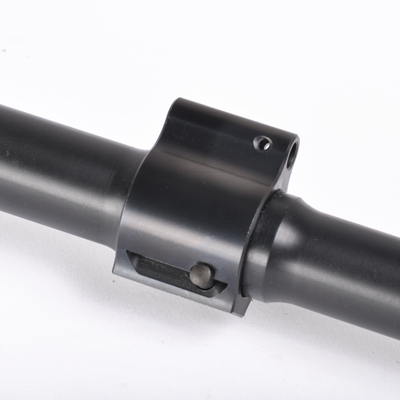 Our gunsmiths are able cross-pin and pin muzzle devices on your melonited barrel. In an industry that is always looking for stronger and more durable finishes, it is important to have a gunsmith that is able to work on your latest build. 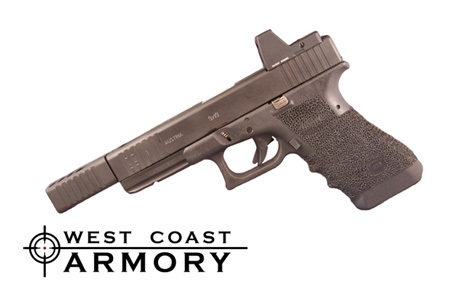 When other gunsmiths tell you, "No", West Coast Armory says, "Yes". Our gunsmiths are able to cross-pin your gas block so it is guaranteed to stay in place no matter how hot you run your gun. 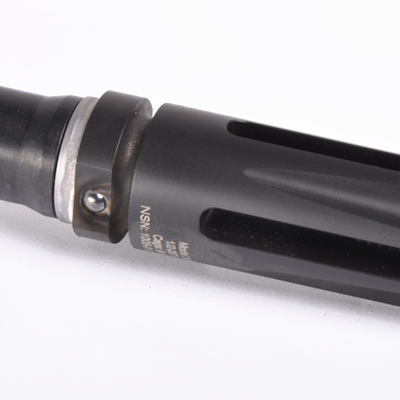 We can drill for a standard cylinder pin or a tapered cross pin depending on your application. This glock was customized to meet the specific needs of a local law enforcement customer. This AR rifle was built spefically for a West Coast Armory employee in competition. 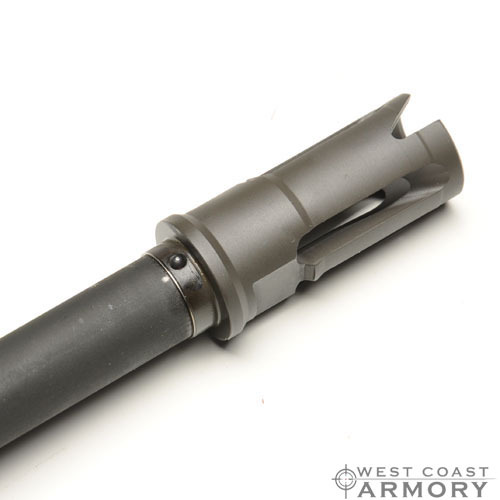 It has a fluted match barrel and is composed entirely of premium components.